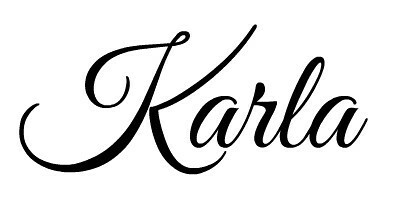 I hope everyone had a wonderful Christmas! 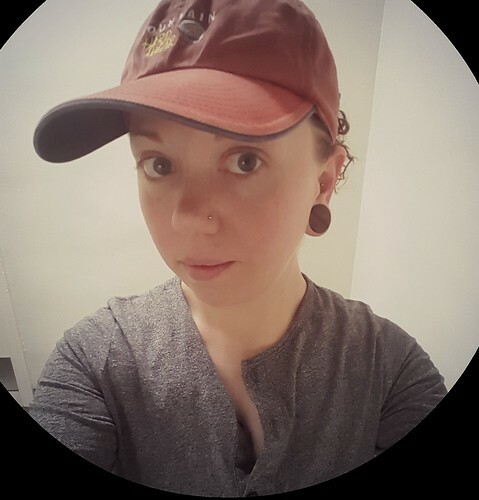 After a long and super busy week full of birthday and Christmas celebrations, I finally had a moment to sit down, go through some photos, and jot down a few thoughts. As you can tell, our little family is BIG on traditions. Even thought I come from a terribly dysfunctional family, we had quite a few of our own and Terry and I have established many throughout the years. 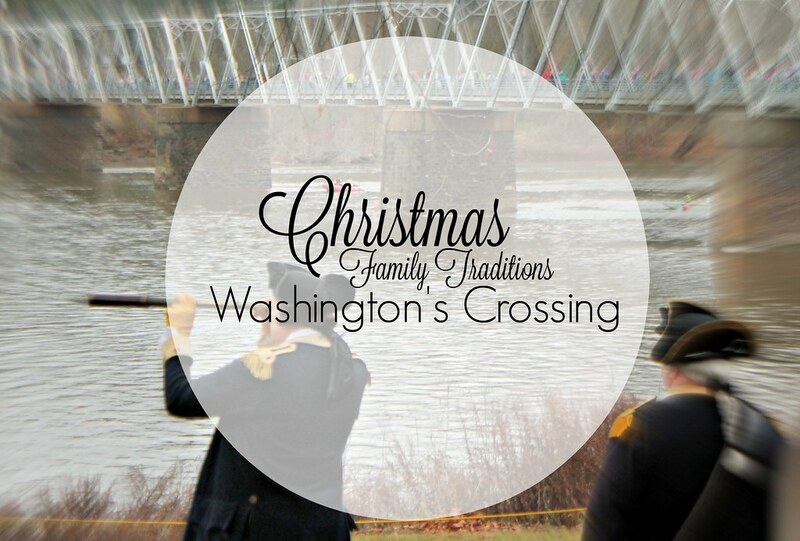 This year, we added one more to the list: a Christmas visit to watch Washington's Crossing to watch the famous reenactment. 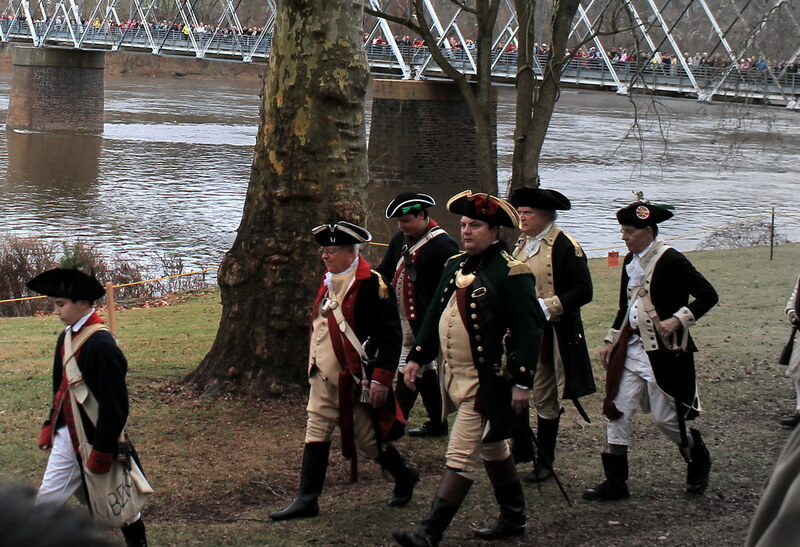 On Christmas of 1776, after months of intense fighting and no major victories, General George Washington made the strategic decision to transport his troops across the Delaware River from Pennsylvania over to New Jersey where they would march to Trenton to conduct a surprise attack against a number of highly trained Hessian Mercenaries. Through a severe winter storm of snow, hail and sleet, the boats combated icy jams and navigated through complete darkness across to the Jersey shoreline where they would ensemble to make the nine mile march to Trenton to attack the troops before dawn. 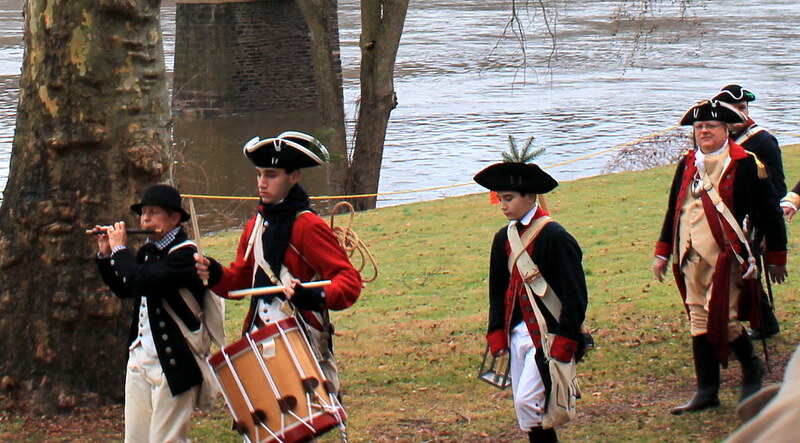 Some 2400 troops departed on the secret mission using Durham boats and ferry boats to the other side of the river where they succeeded in the Battle of Trenton and captured 1000 Hessian troops (22 were killed and only 3 American causalities). 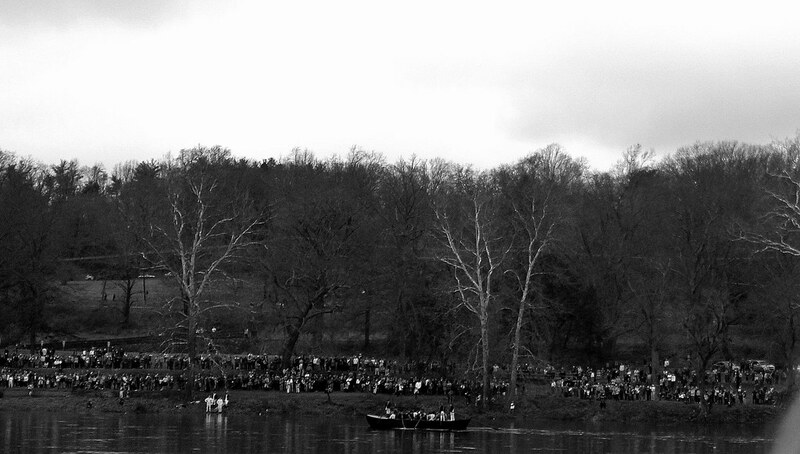 Every year, weather permitting (which is ironic), several hundred reenactors in Continental military dress, after a brief history lesson of the events that led to the crossing, listen to an inspiring speech by Washington and then row across the river in replica Durham boats. 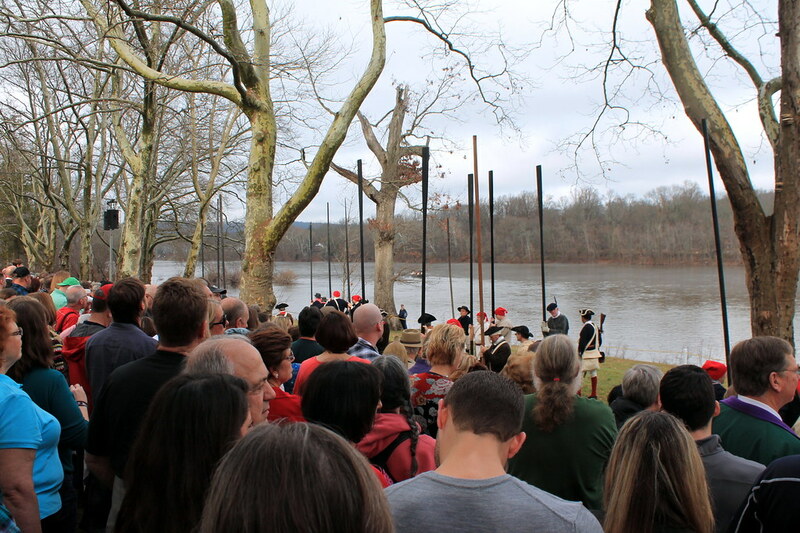 Thousands gather at Washington Crossing Park to witness the event on both sides of the river and even line across the bridge to watch the boats cross, listen to fife and drum music, and to gather for historic demonstrations at the park afterward. 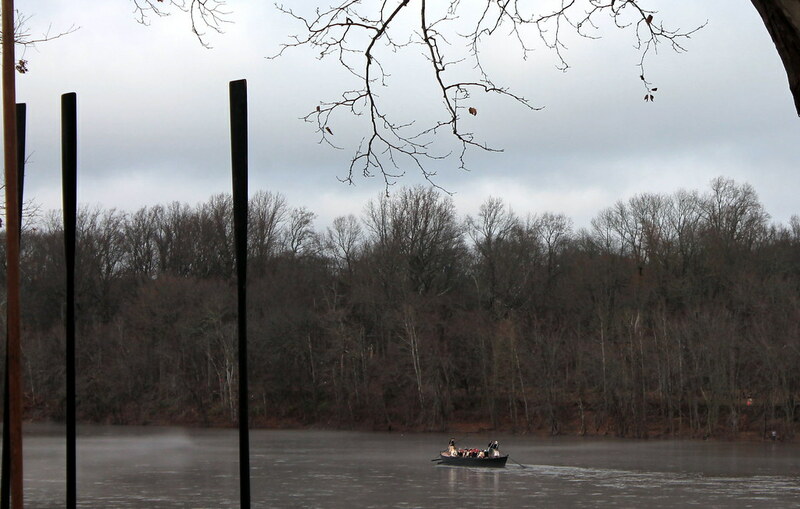 It's a Christmas tradition of many in the town of Washington's Crossing and New Hope area. It was strangely in the 70's this Christmas thanks to El Nino so the reenactment went off without a hitch. In fact, I felt badly for the actors and historians donned in layers of wool while a good bit of people watched from along the shore in shorts and/or short sleeves. This was our first time vising the part for the event. 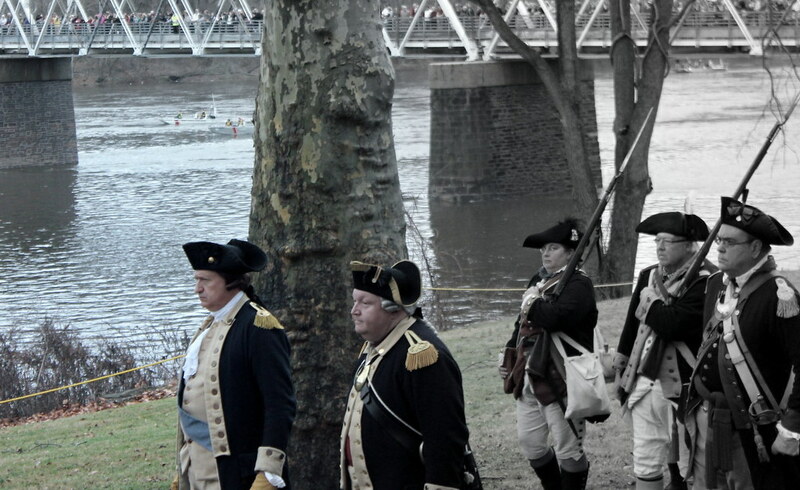 We have gone quite a few times for some other events such as a We Read the Constitution event while I was pregnant with Eamon and visited last year for George Washington's birthday celebration, where the weather that day was almost that of the actual historic crossing (the replica boats were in fact frozen stuck in the river at the time). The trip to the park from Philadelphia is about 40 minutes up I-95 without heavy traffic. What's remarkable, is that hundreds of Philadelphians made the journey on Christmas Eve 1776 by foot and horse to bring soldiers who were literally dying for supplies like bread, bullets, and blankets (so next time you're stuck in traffic on the interstate, image making the trek by foot in the icy snow). 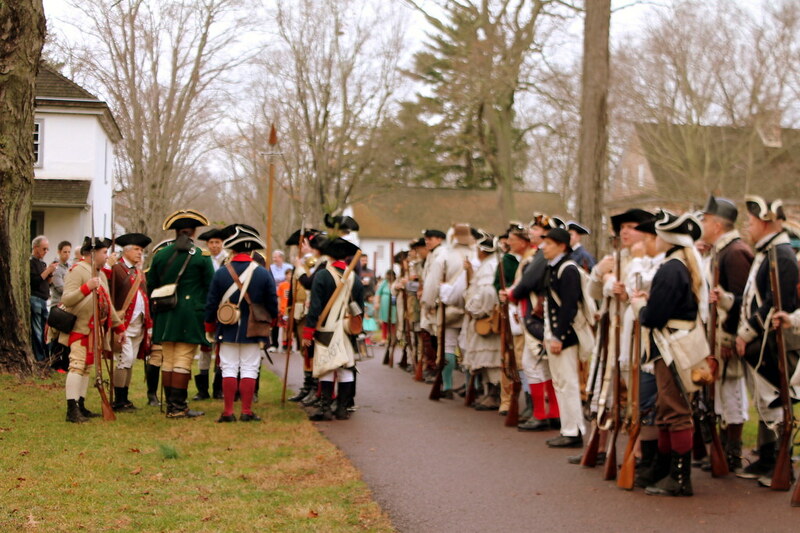 There are tons of great restaurants nearby and, if you're not up to making the trip on Christmas Day, the park started doing a "pre-enactment" earlier in the month. The Christmas Day show is free, however, the December 13th (date may change next year) requires a small fee for attendance, which benefits the park, who underwent enormous budget cuts this past year and, thanks to the state not being able to pass a budget in the past 6-months (yup, that's the PA gov't for you! 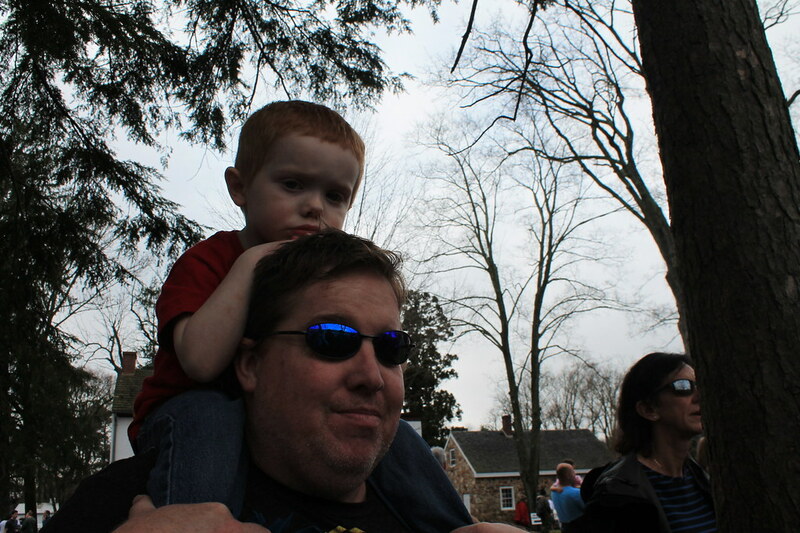 ), they rely on patron donations for many of the events they host annually. 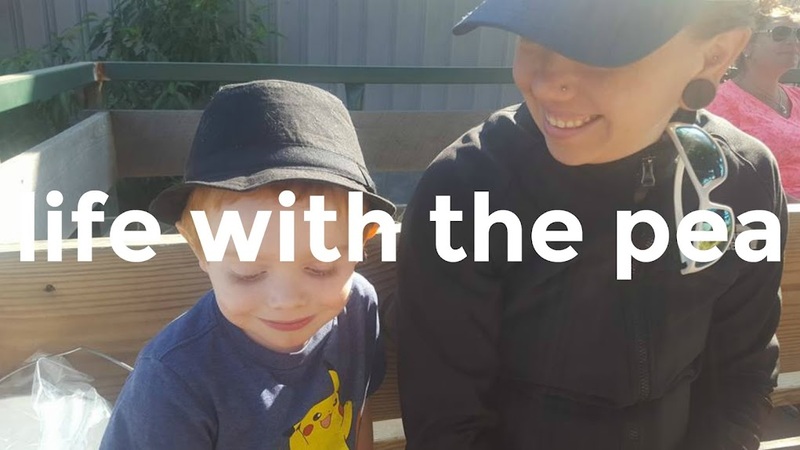 If you are interested in visiting the park please check out their webpage for location and list of events and, if you can, please make a small donation to help keep the programs going.